What made you want to read Prelude? In Chapter 3, Victor Chernov gives what is described as a “disquisition on the wonders of geology” (page 34) concluding that “geology is destiny.” Later he and Cassie Young argue about the issue of peak oil while dining at the Iron Gate restaurant (pages 38-40). Victor states, “Technology is like fairy dust to you. You sprinkle some on the tar sands and magically their output goes up four times…You sprinkle some on the ocean and magically oil that is 30,000 feet down becomes easy to produce…Yes, Cassie, we have technology. But now geology is winning the contest between the two. Remember: geology is destiny.” Do you agree with Victor that technology might be failing and that geology is destiny? 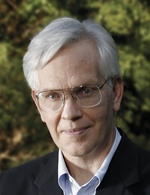 Did Victor’s comments deepen your concerns about the issue of peak oil and its ramifications? After talking with Conrad Turner, Cassie Young reflects on her doubts about the Mooney-3 well which is located in some of the deepest waters of the Gulf of Mexico (page 67). “It marked the opening of a new offshore frontier. But frontiers, she thought, are always full of unforeseen dangers and possible setbacks. And frontiers can sometimes be fatal.” Discuss Cassie’s position as an energy analyst and her transformation from one of her firm’s true believers into a concerned skeptic. Do you think her conversations with Turner and Victor Chernov set the stage for this transformation and, ultimately, for the changes in her life and career? Why or why not? How important are Cassie’s relationships with Victor Chernov, Paul Hendler and Evan Grant in terms of the novel’s plotline? Did one or more of the relationships help move the story forward? How? Discuss the significance of fossil fuels (oil, coal and natural gas) and the allusions to the Roman god Vulcan and the Roman goddess Ceres (pages 87-88, 201). How does Cassie’s view of these two gods change? Do you agree with her new view? Why or why not? 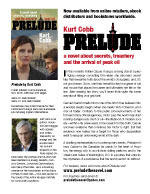 After reading Prelude, do you have a better understanding of how world oil production occurs and how it affects societies? What specific information/passages provided in this novel helped you gain perspective? Did the romantic subplot of this novel enhance or detract from the story? Why or why not? As a suspense novel, how would you rate Prelude in terms of characterization, action, dialogue and setting? Did Cobb effectively use all four elements to keep you engrossed? Were there any elements that were more effective than another? Were you surprised at the ending or was it predictable based on the events leading up to the novel’s conclusion? How relevant do you think Prelude is based on what you know about the energy issue? Do you know more about this issue than you did before you read the book? Did reading this novel change how you view your own life? Discuss changes, if any, you could make in your everyday life to reduce the consumption of oil-based products.